Amsterdam property owners, managers and hosts wishing to list their property on AmsterdamStay.com are more than welcome. Let AmsterdamStay.com fill your empty nights! List your property in a few simple steps! Just fill in the simple registration form. You can then log into your account and add a property. Once the property has been verified by our property manager, it will be made live on the site. One of our property managers will then contact you to arrange an appointment to view. Our photographer will come along and make a video and professional photos. We insist on visiting any property listed. AmsterdamStay.com is ranked within the top sites for Amsterdam accommodation on all the search engines including Google.com, Yahoo.com and, Bing.com. 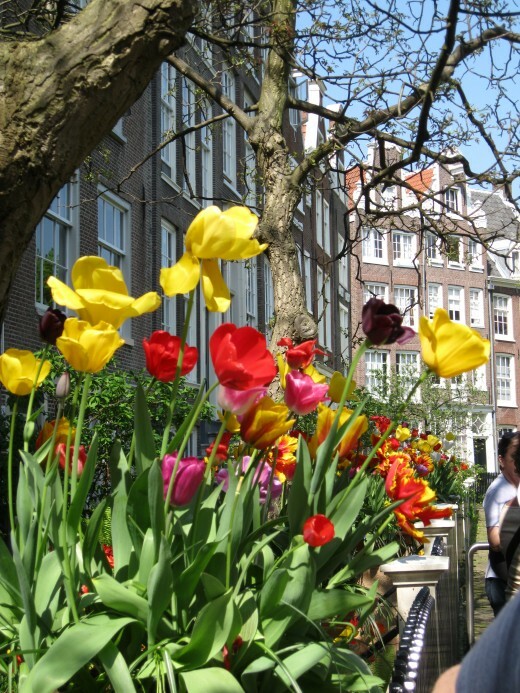 Search for Amsterdam apartments, Amsterdam Holiday apartments or Amsterdam Vacation rentals and you will find us listed within the top few sites so we can guarantee you a high level of confirmed bookings. 1.We work on a commission basis. When a booking is made for your property, we process the deposit payment (booking fee which is our commission), between 10 and 100% of the total cost of the booking depending on what package you have chosen. This payment confirms the booking for the client. 2.The remaining balance (if any) and any security / damage deposit are paid to you or your property manager when the guests arrive to check in. Any balance is normally paid in cash, but you can accept payment any away you wish, PayPal, bank transfer or if you can accept credit card payments. It is entirely up to you. Note - We do not offer credit card processing on behalf of owners. If you have added your property on a live booking basis. 1. We expect that the prices and availability calendars are kept up-to-date at all times in our booking system. 2. Any double bookings (a double booking is when a reservation is made for the same nights, this happens when an owner fails in his duties to keep his availability up to date in the booking system. In such a case we will try to help you to solve any double booking by offering your guests alternative properties, but if that is not possible, you will have to pay back your guests the booking amount he/she has paid to reserve your property or find another place that matches the same quality standards of your property. Should your property receive a complaint from a guest, depending on the level of complaint, we reserve the right to deactivate your property without warning until such time as we can make an appointment to come view the property ourselves. 1.Free listing on our city dedicated websites like AmsterdamStay.com as well as our main site WorldEscape.com/Amsterdam. Each website is highly ranked in the major search engines like Google, Bing, and Yahoo and receive a lot of visitors daily, which exposes your properties to many prospective guests from all over the world. 2.Using your username and password you have access to the online back office management system. Here you can see all the details of your upcoming and past reservations, make changes to your listing, update your availability calendars, offer discounts for slow periods increase rates for high season and a lot more besides. You have 24/7, 365-day access from anywhere once you have an Internet connection. 3.No lock-in contract or exclusivity agreements, you are welcome to list your property on as many competitor sites as you like. Hopefully, we get you so many booking you will not have to. You can also disable or delete your property at any time, without complicated contract closures as long as any outstanding reservations are honored. 4.Training and ongoing support. We are here to help. Once your property is uploaded, we will then show you in a few simple steps how to manage your property and how to update your rates, calendars. 1.Register here, once your account is activated, you can log in and add your property. We will then make an appointment to come visit you and view the property. Our photographer will also come along to make professional photos and a video. If the property meets our quality standards, you will receive an email with an agreement document for you to sign and send back to us. 2.Once we have received your arrangement document, our team will re-check your listing for any errors, make it search engine friendly before making it live on our site. 3.We then take you through our Booking Management System if you are not experienced. You then have access to our system. You can update all details of your property from here. 4.If your property is on live booking, you must log in and update your availability on your calendar. You are now ready to start receiving bookings!. When a booking is made online by a customer, you will receive and instant email confirmation and SMS text message informing you of the booking. You can also log into your back office booking management system and view details there. When a booking request is made for your property, you will receive and instant email and SMS text message informing you that a guest is interested in booking your property. You can then either accept or reject the request. Let AmsterdamStay manage your property. We take care of everything with our full property management service. Let us take the hassle out of renting. Read further details here or contact us.